Beachrose Ramblings: Hungry for This? Good morning lovely readers! Hope you are having a great day so far! I have a not-so-very busy day today with Nola and her mommy. The forecast is for an incredible 67 degrees (F)! Wow! So, we plan on taking Nola for her first stroller ride. Hopefully at our favorite park in Hingham along the water, if it isn't too windy out, and enjoy the breath of spring air while it lasts! I found this fab kitchen on Tracery Interiors website and had to share it. The Bertazzoni stove is spectacular on its own, but then that amazing fabricated steel hood is like the icing on a wedding cake - sweet and delicious perfection! 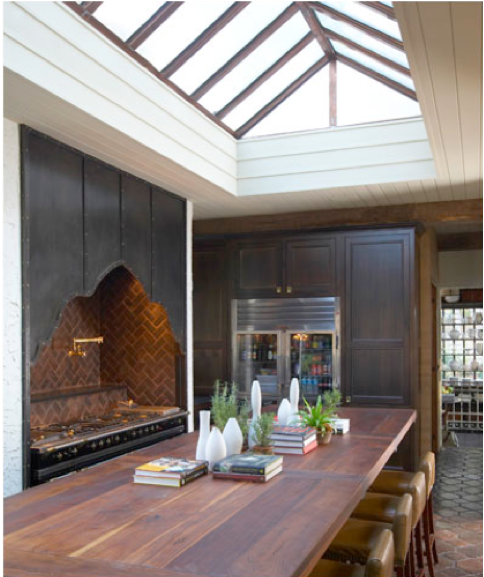 Then, as if that's not enough they added that amazing skylight roof to flood the kitchen island with natural light so you can bake cookies or just sip coffee all day long basking in the sunshine. 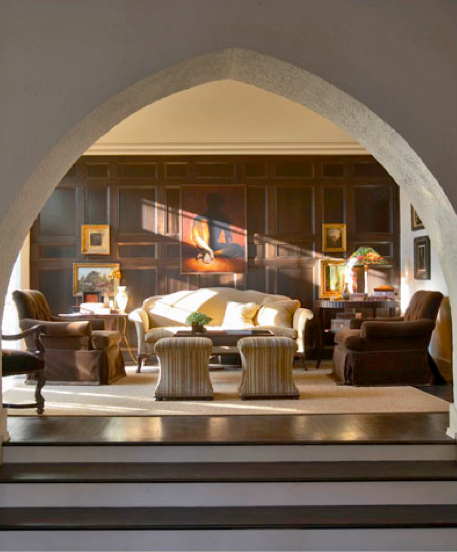 Still, the Tracery Interiors team wasn't done yet. 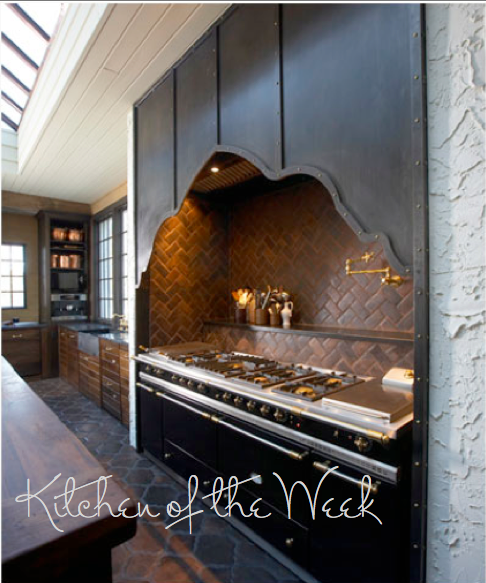 Why not toss in antique bricks laid in a herringbone pattern to line the walls behind the stove and underneath it all? Antique terra cotta tiles bring the visual warmth down to the floor. Stop it already! I'm turning green with envy! But, there's still more, a surprise for you dear reader, so scroll on down. Ta-da! 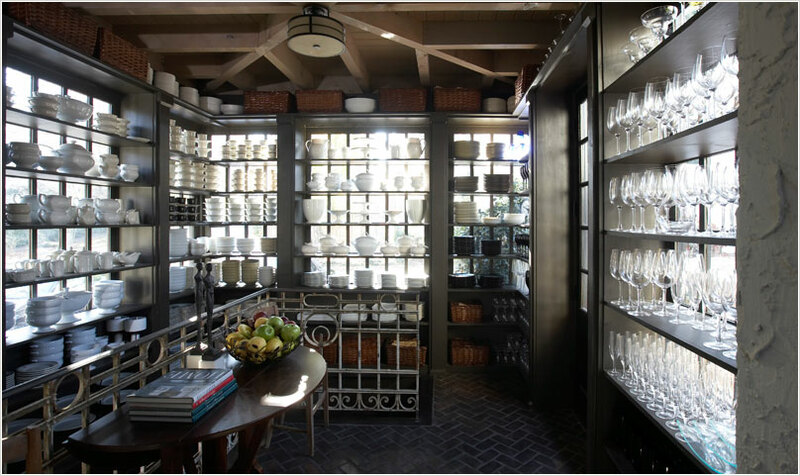 Isn't this the most amazing room to store dishes in? 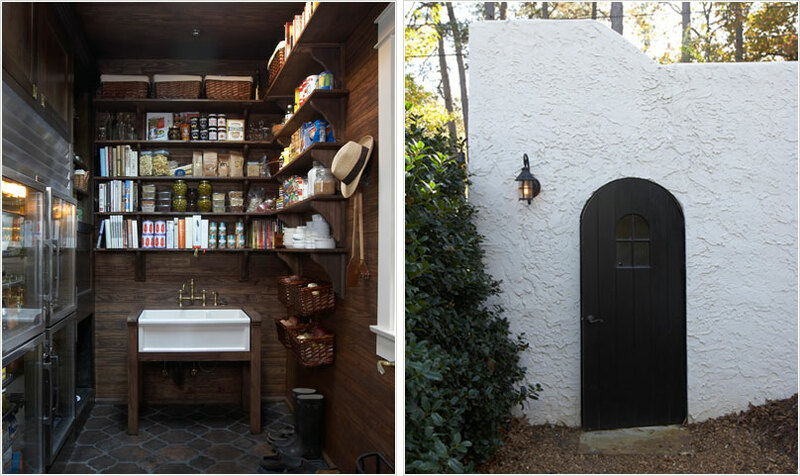 Now that's a great Butler's Pantry! 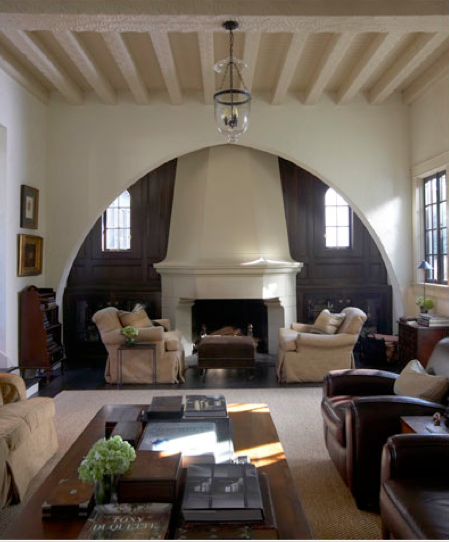 Naturally, a splendid kitchen deserves an equally splendid family room. Have a fabulous day today! !